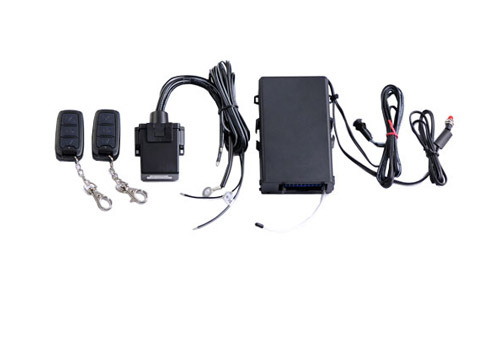 Wheels Card Transponder Immobilizer identifies the car owner through a smart card system in a 3-way engine immobilization (ignition, starter and fuel pump). Without the smart card, the car will be immobilized, acting as an anti-hijack and anti-car theft measure. In addition, the cables are built of similar appearance, so the power supply will not be cut unwittingly. The smart card print can be customized to customers’ requirements. And the slim card design, similar to credit cards’, makes it light and convenient to carry it around. We have also developed Thumb Print Transponder Immobilizer but have yet commercialized the concept. We are open to non-automotive projects engaging the concept of card transponder immobilizer. Let us know if you have a good idea in mind. Find out more at our Design & Build column. Enhanced security- Only the person with the valid transmitter can start the engine. Ideally to pair PKEI-1000 with Wheels Alarm System. Anti-Hijacking System- Each time the door is opened and the brake pedal pressed while ignition key is turned on, the system will start code identification process. The duration of the process is for 155 seconds, after 120 seconds it will beep and hazard lights will flash, the buzzer and siren will sound given no valid transmitter is detected within the next 30 seconds. And the starter, ignition & fuel pump port will be terminated. Service Mode- The owner is able to set the system to service mode if driver has to send his vehicle to workshop for servicing.